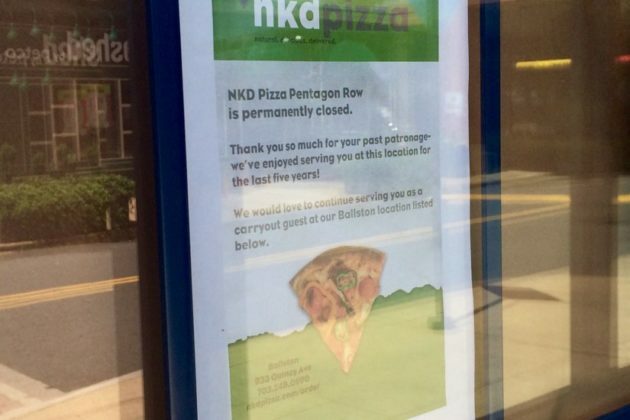 NKD Pizza, the pizza chain formerly known as Naked Pizza, has closed its Pentagon City location. The pizzeria, in the Pentagon Row shopping center at 1101 S. Joyce Street, opened in July 2011, touting unique pizza recipes and all-natural ingredients. Subsequently a Ballston/Virginia Square location opened in 2012. 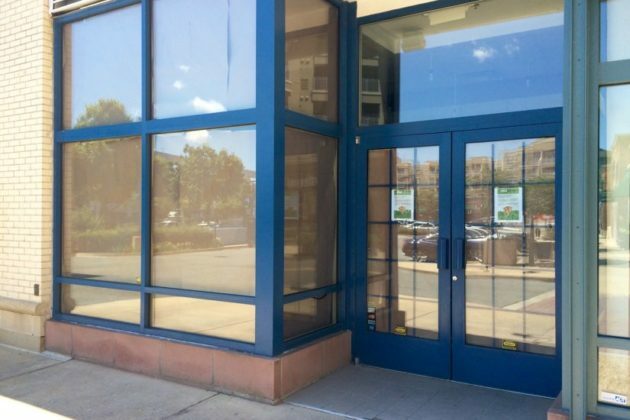 Today, the Pentagon City’s location was closed, with brown paper covering the windows and a sign posted on the door. The Ballston NKD Pizza store is located at 933 N. Quincy Street.